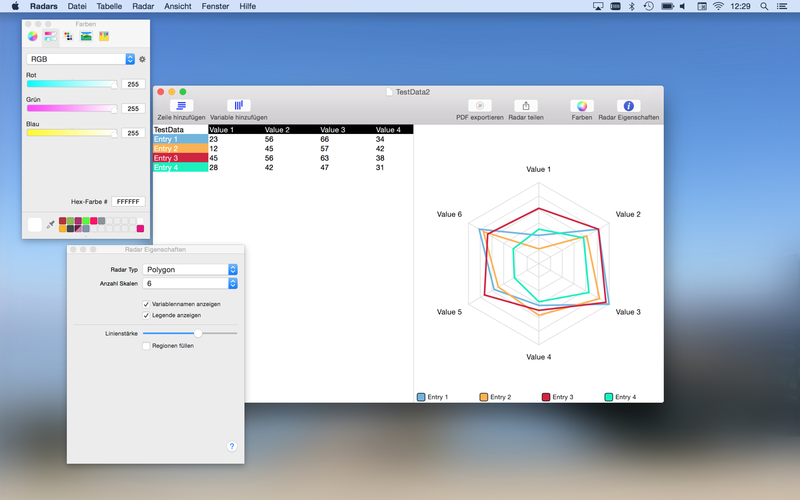 With Radars I created a Mac app that enables the user to create radar charts. By directly entering your data in the app or importing a CSV file you are able to create a radar chart. Radar charts are 2 dimensional charts with their origin in a center of a circle. The Radar charts can be exported to PDF or PNG of individual size.